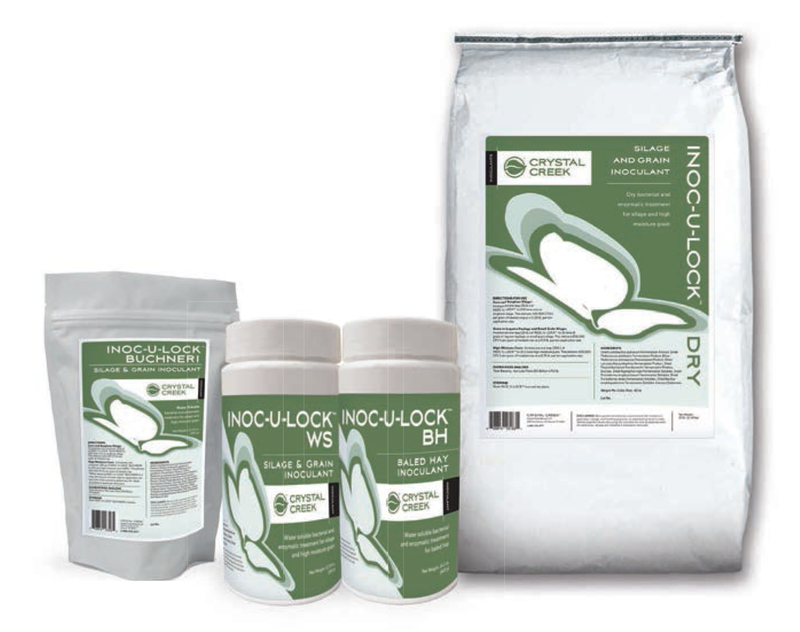 Properly inoculating livestock feedstuffs with Inoc-U-Lock™ can provide many benefits to the producer. 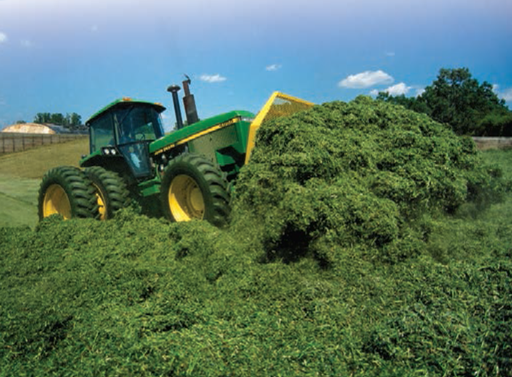 Benefits include reduced dry matter loss during storage, reduced nutrient loss (protein, energy) during storage, improved aerobic stability for less mold and yeast growth on storage face and a reduced risk of heating in the bunk. 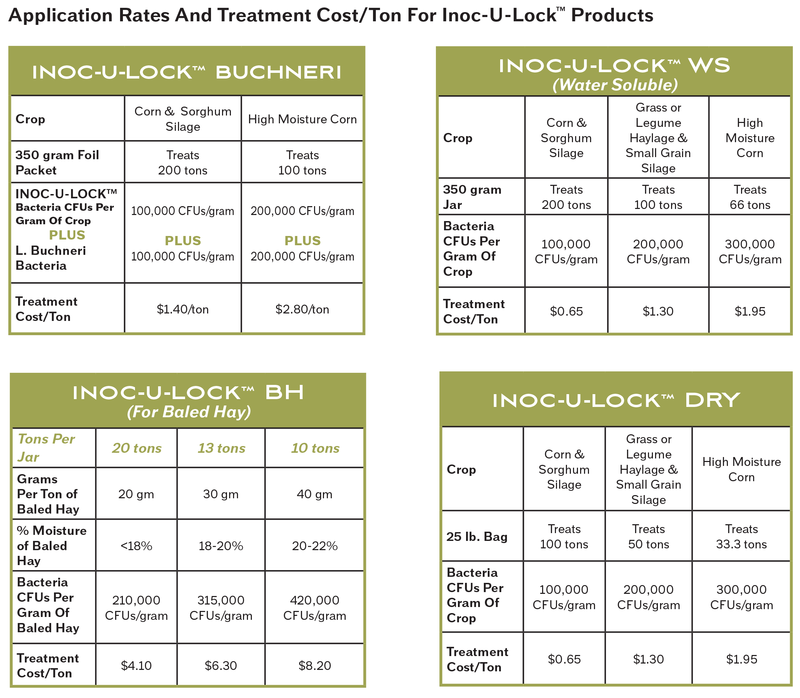 Inoc-U-Lock™ also supports higher dry matter intake, improved production and stronger profitability; all key reasons why so many producers are using Inoc-U-Lock™. 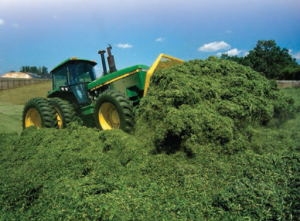 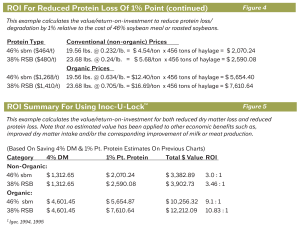 Since my article in the April 2015 Crystal Creek® Newsletter (Introducing Crystal Creek’s Inoc-U-Lock™ Buchneri), we have had a number of questions about the detailed economics of using Inoc-U-Lock™ in both organic and non-organic dairy operations. 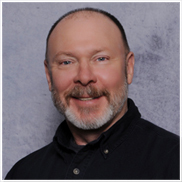 Consequently, I thought it would be helpful to write a follow-up article demonstrating the significant economic advantages Inoc-U-Lock™ can provide. 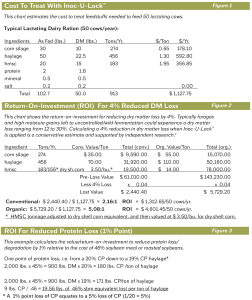 Figures 1-5 show an economic evaluation of Inoc-U-Lock™ using only two key categories of performance: reduced dry matter loss and reduced protein loss. 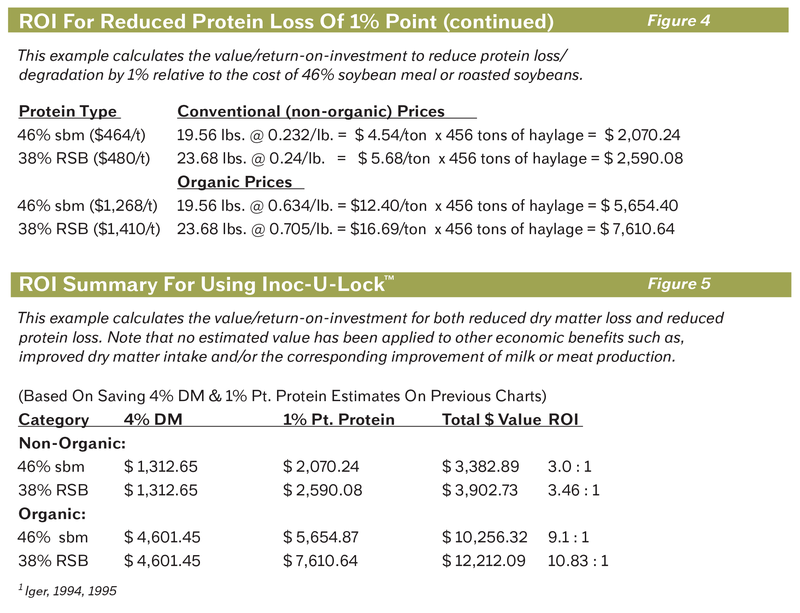 In the first example, a non-organic 50 cow herd using Inoc-U-Lock™ has a return-on-investment (ROI) of approximately 3:1 resulting in a profit increase of at least $3,382.00. 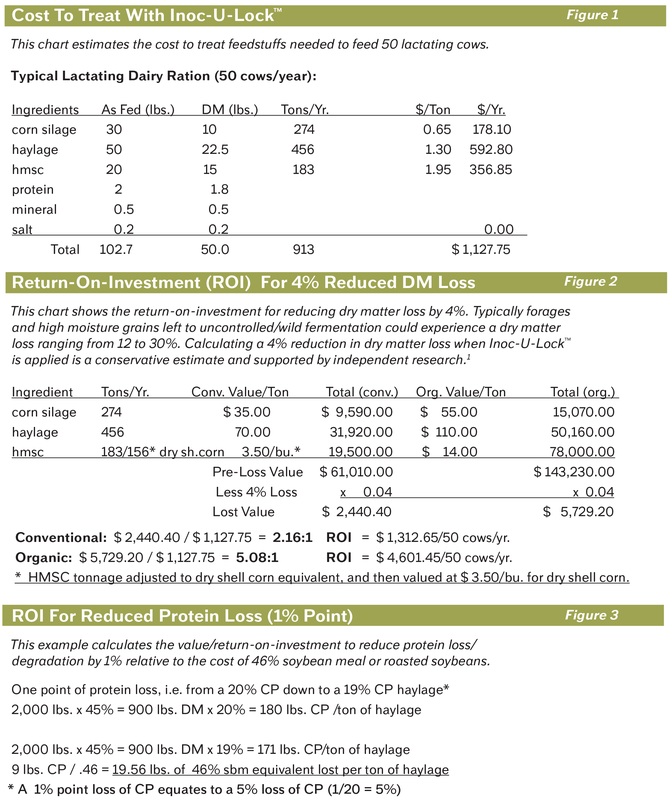 In the 50 cow organic herd, the ROI is at least 9:1 resulting in over $10,256.00 additional profit. 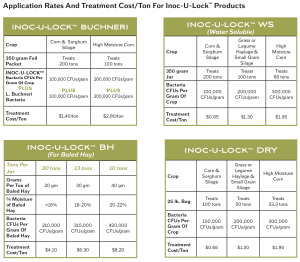 Inoc-U-Lock™ offers exceptional performance at a great value. 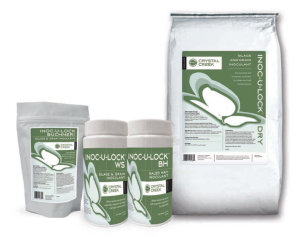 Protect your hard work, investment and bottom-line by applying Inoc-U-Lock™ to your feedstuffs.